These three London schoolgirls, who lived in the borough of Tower Hamlets, were not the first from there to travel to Syria. They were not even the first Islamic State recruits from their school — nor, it seems, will they be the last. In December 2014, a friend and fellow pupil of the three London schoolgirls travelled to Syria after being “in covert phone contact with an unknown woman.” These four 15- and 16-year-old Islamic State recruits were all pupils at the Bethnal Green Academy in Tower Hamlets. The Telegraph recently revealed that a fifth Bethnal Green Academy pupil also attempted to leave Britain to join the Islamic State, but was stopped after police boarded the aircraft as it was about to take-off. What made a total of nine young girls, from the same London school, attempt to travel to Syria and join the Islamic State? These claims perhaps illuminate the motivation of one or two of the girls, but they do not explain how nine young girls, all from the same school, attempted, with some success, to join the world’s most ruthless terrorist movement. A number of teachers at the Bethnal Green Academy, however, do seem to harbor extremist views. Tasif Zaman, a “Graduate Achievement Coach” at Bethnal Green Academy, hasexpressed support for Babar Ahmad, a British Islamist convicted on terrorism charges by a U.S. court in 2014. After the September 11 attacks, Ahmad ran a website that urged recruits to take martial arts courses, read books on military warfare and train with weaponry. Ahmad’s websitecalled for jihad against “infidels” and explained how to send funds to named Taliban officials in Pakistan. Tasif Zaman has also called for the release of Shaker Aamer, whom the senior Al Qaeda leader Abu Zubaydah once described as an “extremely active” recruiter for the terror group. Farooq Murad, the son of the “Supreme leader” of Jamaat-e-Islami and a trustee of the Islamic Foundation. The Foundation’s other trustees, in 2003, were reported to be on a UN list of people associated with the Taliban and Al Qaeda. The assumption that radicalization is an online process has been widely cited, but little evidence is ever offered. That local Islamist leaders, such as Muhammad Abdul Bari, echo these claims, only serves the interests of “non-violent” but extremist Islamic movements, which seek to offer their own networks as alternatives to the jihadists. Islamist movements such as Jamaat-e-Islami and the Muslim Brotherhood have been keen to attribute support among British Muslims for the Islamic State to “slick IS media.” They do so to downplay evidence that their own “non-violent” Islamist groups are part of the conveyor belt theory of radicalization, in which some extremists gradually become terrorists. The role of “non-violent” extremists within the conveyor belt, however, is not solely the influence of a single preacher, activist or group. The teachers at Bethnal Green Academy, despite their extremist views, were not directly responsible, of course, for the radicalization of nine young schoolgirls. These teachers are, however, part of a culture of extremist Islamic thought, under which these young girls grew up. The dominance of Islamist ideology is a systemic problem in certain areas of Britain. Tower Hamlets offers a particularly vivid example of the pervasive influence of Islamist ideology over a local Muslim population. The Islamic Forum of Europe (IFE) is a key Islamist institution in Tower Hamlets. Undercover filming in Britain has revealed IFE activists explaining that they exercised “consolidated… influence and power” over the local government of Tower Hamlets. Speakers invited by the IFE have included the late Al Qaeda leader, Anwar Al-Awlaki, as well asa spokesman of Afghan warlord Gulbuddin Hekmatyar, whose forces have fought alongside the Taliban against British troops. The IFE was originally established by the Jamaat-e-Islami operative Chowdhury Mueen-Uddin,sentenced to death in November 2013, by the Bangladeshi War Crimes Tribunal, for his role in the abduction and murder of 18 journalists and intellectuals when he led the Al-Badr killing squad during Bangladesh’s 1971 War of Liberation. The Islamist-dominated local government and schools, and extremist groups, appear to be all heavily intertwined. The East London Mosque, another important Tower Hamlets Islamist institution, is an affiliate of the IFE. The mosque has a long history of promoting extremist speakers. In October, the mosque hosted Imam Abdullah Hasan, an Islamist preacher and IFE activist who describesJews as “devil-worshippers” and has praised Osama Bin Laden. Since 2006, the East London Mosque has received at least £3 million (over $4.5 million) of taxpayers’ money, some of which was funded by the government’s counter-extremism program. More importantly, the East London Mosque manages its own school, the London East Academy. 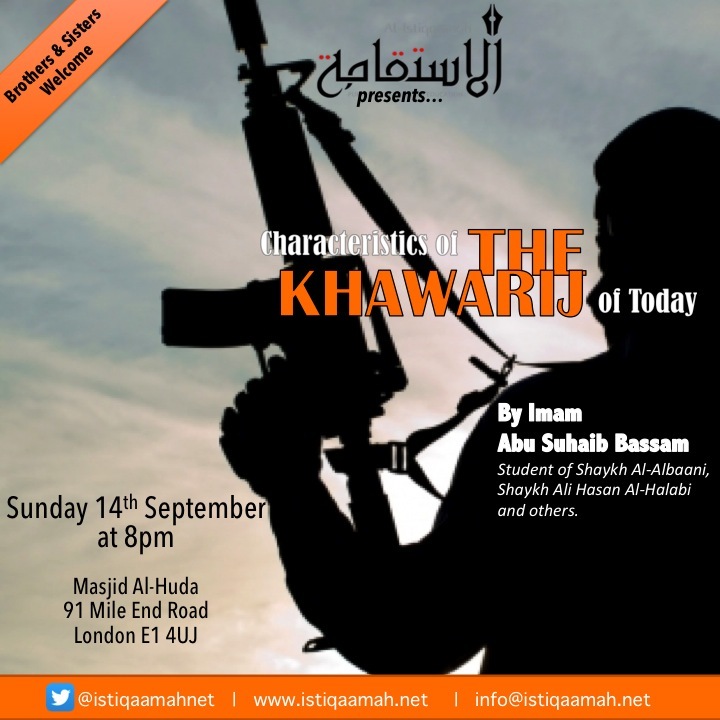 In March, the Evening Standard reported that Zubair Nur, a 19-year old graduate of the school, was believed to have joined the Islamic State. Furthermore, one of London East Academy’s governors, Gulam Robbani, was Mayor Lutfur Rahman’s election agent. Robbani’s fellow governors at the school included other local government officials as well as Abdul Qayyum, the Imam of the East London Mosque. Qayyum was also a signatory to the Istanbul Declaration, a document that advocates attacks on Jewish communities and British troops. Schoolchildren in Tower Hamlets grow up under the shadow of extremist ideology, much of it funded by the British taxpayer. Meanwhile, British media and politicians are busy debating the causes of radicalization. Factors they cite include: online propaganda, institutionalizedIslamophobia, British foreign policy, poverty, or even the pressure of police scrutiny. None of these claims, however, has ever been substantiated. The most important influence, in fact, seems to be the prevailing extremist culture imposed on British Muslims by “non-violent” Islamist networks, and which successive British governments have allowed to cultivate. By permitting Islamist groups to represent British Muslims, and then equipping them with funds and political recognition, Britain has actually advanced intolerance — and for far too long. Over the past decade, a considerable number of commentators, moderate Muslim activists and the occasional journalist have warned of the dangers of allowing extremist preachers and terror-connected groups to exert such extensive influence over local government, schools, universities, charities, prisons and even interfaith groups. Although these issues have consumed national debate for years, very little has been done in response. It is not surprising that British Muslim schoolchildren are now rushing off to fight with terrorist groups such as the Islamic State. Tower Hamlets is only a microcosm of a much larger problem of radicalized Muslim communities all across Britain. The question of the extremist grip over British Islam is still waiting to be properly addressed.